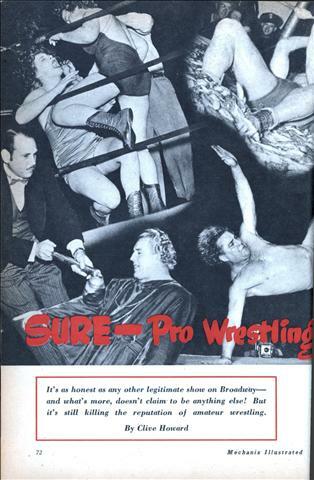 SURE – Pro Wrestling is Honest! It’s as honest as any other legitimate show on Broadway— and what’s more, doesn’t claim to be anything else! But it’s still killing the reputation of amateur wrestling. A GROUP of prominent amateur wrestlers was trying to place wrestling on the sports program of New York City high schools. Arrangements were made for the members to be heard by a special committee of educators and the prospects looked good.